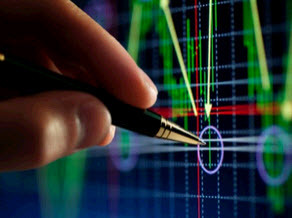 Momentum trading: A momentum trade usually lasts anywhere from 30 seconds to about 1 hour. Momentum trading is based on strong price movements and counter price movements often caused by news. Breakout trading: breakouts (breakdowns) do occur in any time frame. Popular charts for breakout traders are 5 minute and 15 minute charts. The holding period is anywhere from a few seconds (breakout scalp) up to the end of the day. Breakout trading means to buy stock after it has broken out above a certain price. Vice versa for shorts. Pullback trading: Pullback trading is the opposite of breakout trading. Pullback traders are looking for stock prices to pull back a significant enough amount (usually into support) in order for them to justify an entry (vice versa for shorts). Personally I am more of a breakout trader since I like the confirmation of the stock prices' movement that I get thru the breakout; although pullback trading often has the smaller stops though. The holding period is usually a few seconds up to an hour. 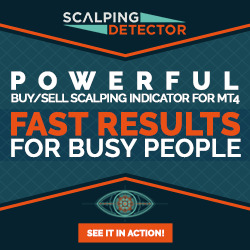 Scalping: Scalping describes "ultra short term" trading. Scalpers try to take advantage of very small price movements and sell their shares immediately when they have a big enough profit or the stock isn't moving in their direction or goes against them. Cutting the spread: Cutting the spread can be seen as a scalping variety. Cutting the spread means to take advantage of the spread (the price difference between the bid and the ask price). It means to buy a stock on the bid side and to sell it immediately afterwards on the ask side for a small profit. Since the decimalization of the markets this type of trading has certainly become much more difficult because spreads have gotten much smaller, however I still see traders implementing this strategy pretty successfully. Please note that the strategies presented in this book are by no means the "holy grail". Trading setups have to be monitored and adjusted continuously. I did try to cover all the major strategies though in order to give you a sound insight into how traders work. 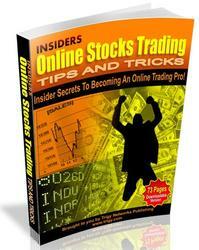 Direct access trading has revolutionized trading in the late 90's. Many traders are still not aware of the tremendous advantages it offers, especially for the active trader. Imagine being able to place an order with the push of one button and to get executed instantly. This is what direct access trading is all about. The traditional way to route orders was to call your broker, who would then send your order to his person on the exchange floor or to the market maker to actually execute your order. After that is done the whole process reverses in order confirm what happened with your order. If you are lucky this process will only take a few minutes, but in many cases it takes much longer. For some time now people have used online trading, which in most cases is not much different to the traditional way, with the exception that your order gets sent electronically to your broker who then processes it. With the introduction of direct access trading order execution has improved dramatically. You are now able to route your order directly to the exchange without any middlemen involved. Access to the market that was formerly only available to institutions is now available to everyone. You can decide which way your order is going to be routed and you can change or cancel it at any time in an instant. On your level 2 screen you can see all the competing bids and offers for any stock listed at the Nasdaq. Every market maker and every ECN is displayed in the level 2 window and you can directly trade with them. Think about how fast your voice travels over the phone? This is the speed you can use for routing your orders. It works solely electronically and there are no middleman involved.